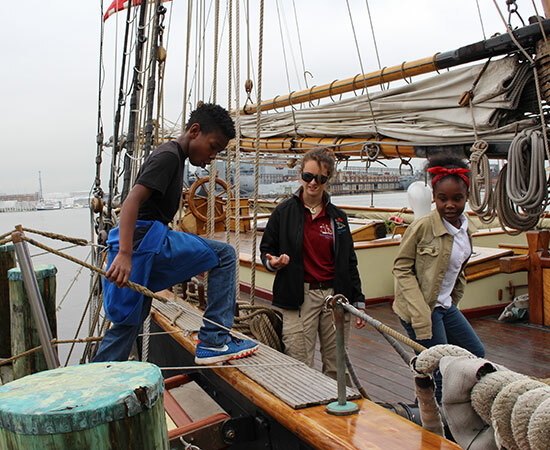 “Pride on the Chesapeake” is Pride of Baltimore’s experiential education program under sail, designed to align with Maryland Voluntary State Curriculum. The half-day (2-4 hour) underway experience engages sixth through tenth graders in a combination of science, technology, engineering, math, and history (STEM+H.) 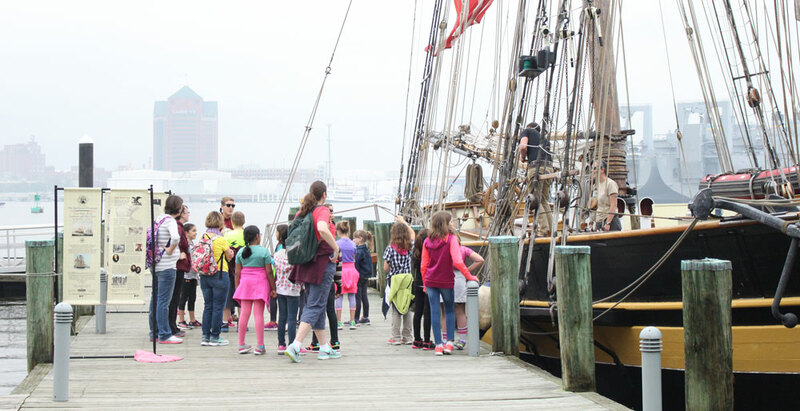 The vessel can accommodate 30 participants at a time (including students, teachers, and chaperones) and can depart from a number of docks throughout the Chesapeake Bay, including the Baltimore harbor. 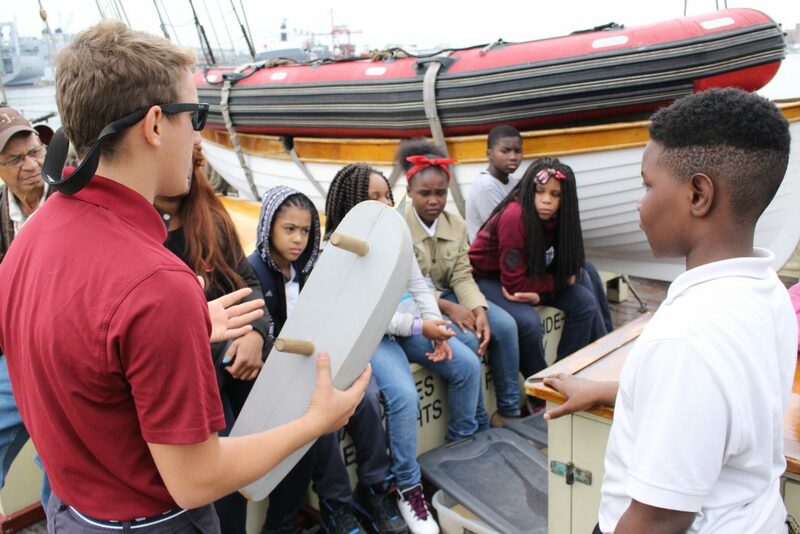 We also have the ability to extend the experience to 60 participants through partnerships with a number of shore-side facilities, including Fort McHenry National Monument and Shrine, Fells Point Preservation Society, and the United States Naval Academy. 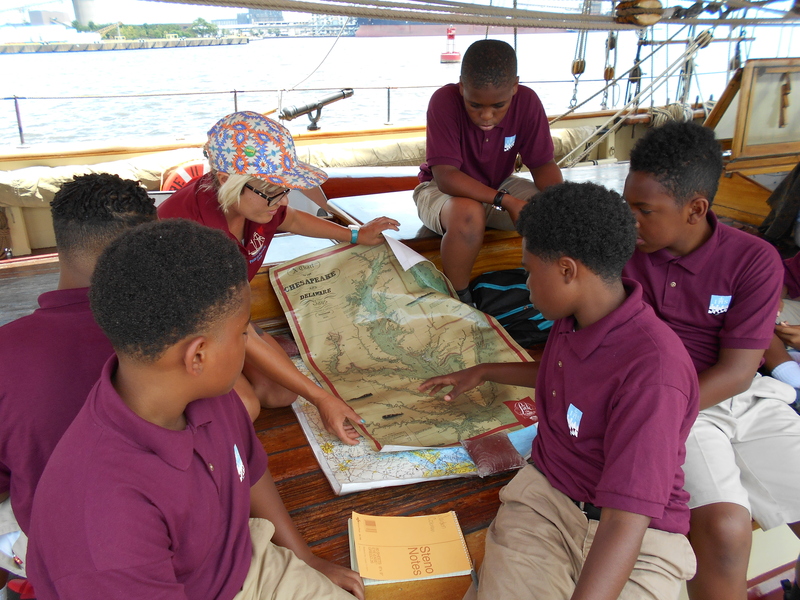 The application of hands-on activities, such as setting sail and steering the ship, as well as well as contemplative activities, such as comparing hull models of a Baltimore clipper to a 19th century cargo ship, makes this program unique, even in a region that is home to many other high caliber programs.